Our laboratory is equipped with a state-of-the-art, computer-controlled wind tunnel which can achieve speeds of up to 30m/s. We calibrate Kimo, Skymate, Dreadloze, Kestrel, Davis, Testo, Latrow, ATP and more. 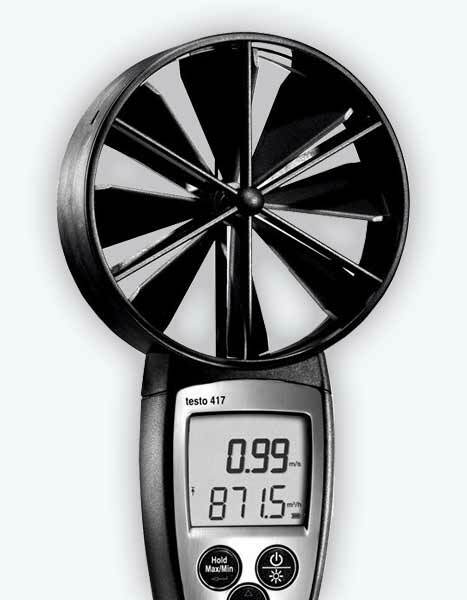 Looking for anemometer calibration? Our laboratory is equipped with a state-of-the-art, computer-controlled wind tunnel which can achieve speeds of up to 30m/s. Starting from prices as low as £70, we can calibrate handheld, portable and fixed anemometers, wind speed indicators, wind meters and hot-wire anemometers to traceable standards. We are able to calibrate anemometers from all leading manufacturers, including Kimbo, Skymate, Extech, Dreadloze, Kestrel, Davis, Testo, Airflow, R.S Components, Latrow, ATP and Lutron.